A volunteer for Projecting Healing Waters teaches a Columbus Crew player how to fly-fish. A volunteer helps a veteran learn how to use the rod. More than 800,000 veterans live in Ohio, and about 15 percent suffer from post-traumatic stress disorder (PTSD). One Central Ohio nonprofit helps vets learn new skill and escape to the peace and quiet using a unique approach: fly fishing. Project Healing Waters was founded nationwide in 2005, and started up in Central Ohio six years later. The organization has given hundreds of local vets quietude and a means to cope with life post-war. "Out Here In The Quiet"
Jason Gibson catches a fish, then releases it back into the pond. The fly fishing classes are aimed at helping veterans cope with PTSD. It’s his first time fly-fishing with Project Healing Waters. After eight years in the army as a combat engineer, Gibson lost his legs to a bomb in Iraq. Now, he’s back in Ohio. After a couple years of rehabilitation, he learned about Project Healing Waters through the coach of his sled hockey team. It’s a sentiment shared by other vets who come to Project Healing Waters. Volunteer John Davis helps coordinate events because he wants to help bring tranquility to veterans. 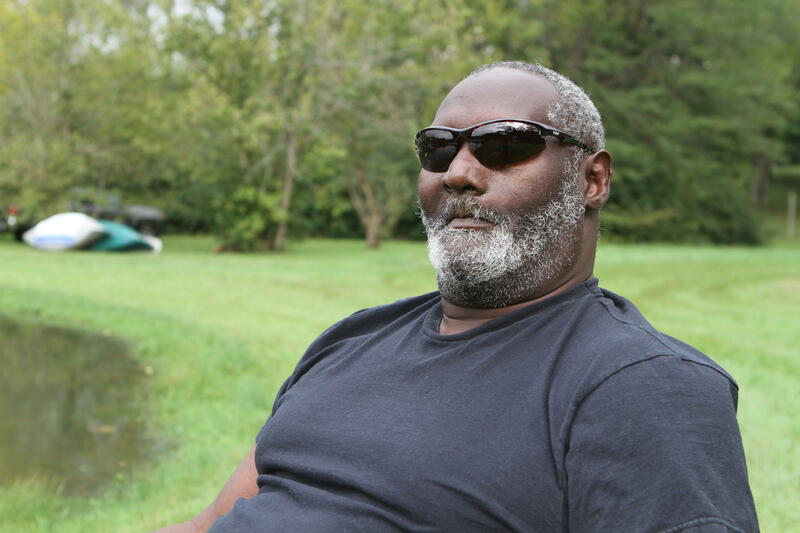 Veteran Joseph Boyd served with the U.S. Marines during the Vietnam War. There are 26 vets who are consistently active in the program. They learn how to tie fishing knots, care for rods, read waters and target fish. Veteran Joseph Boyd served with the U.S. Marines during the Vietnam War. He hasn’t been out of the house in a while. He doesn’t know how to fly fish, but he’s excited to learn. 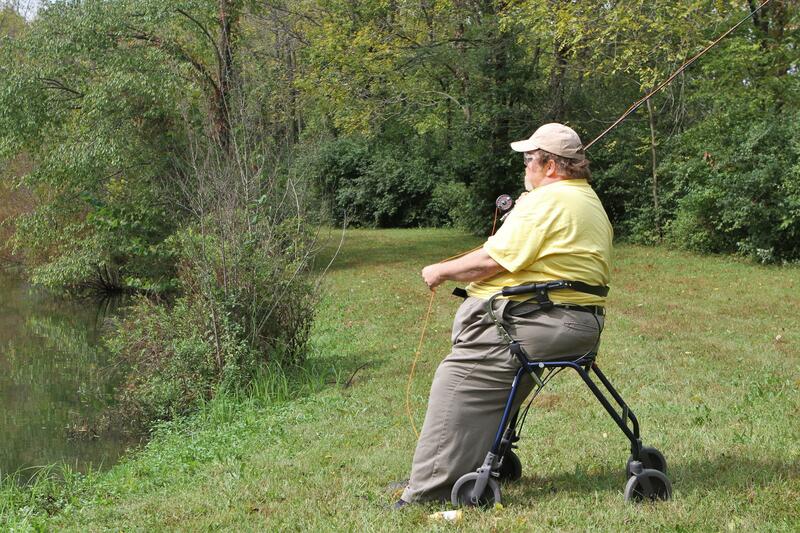 Project Healing Waters takes veterans out fly-fishing once a month when the weather cooperates. They spend the winter hosting indoor classroom lessons at National Church Residences in Columbus. The programs are free for veterans because of corporate sponsorship and private donations. Davis says with time, veterans become more at ease. “Sometimes these folks have difficulty sitting for more than five or 10 minutes, and over time that can increase to an hour where they’re able to sit there and do that,” Davis says. There are five Project Healing Waters programs in Ohio. The next Central Ohio event will be scheduled for November. The National Veterans Memorial and Museum will open to the public next month. But this one of a kind facility isn’t in the nation’s capital - it's in Ohio’s capital city. The Veterans Memorial and Museum has been in development in downtown Columbus since 2015, but last week it added an adjective: It's now the National Veterans Memorial and Museum. The evening crowd slowly wanders in at American Legion post 532 in Southwest Columbus. It’s a Tuesday, when they do a weekly taco dinner. Post Commander Bernie Brogan served in the Army as a Military Policeman during the Vietnam era. He says all the barstools will be gone within an hour.